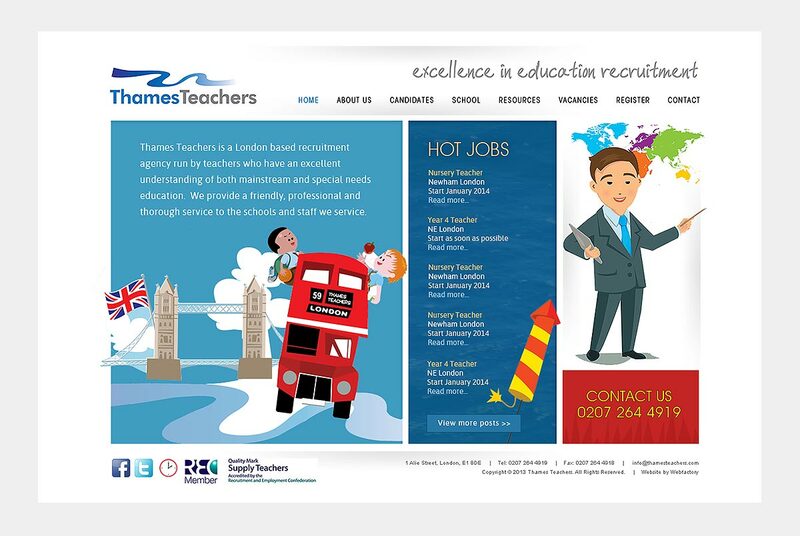 Thames Teachers is a specialist education recruitment agency run by teachers. 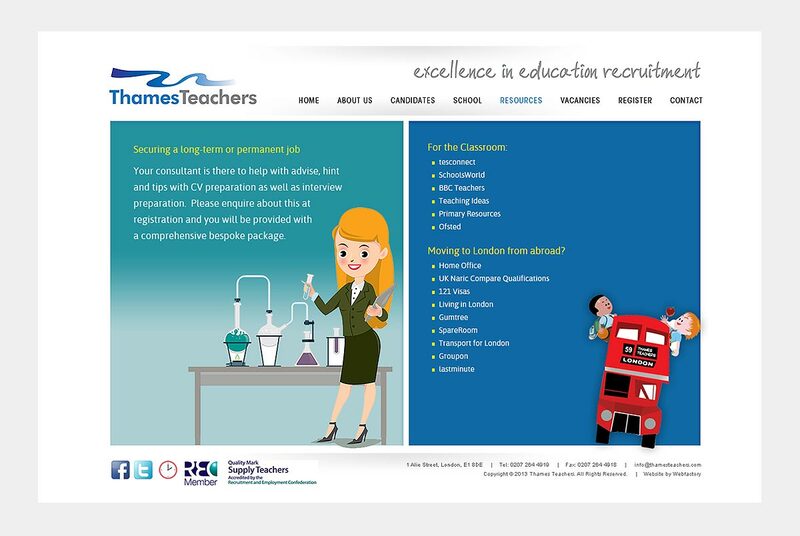 They source education professionals globally and place them into London schools. 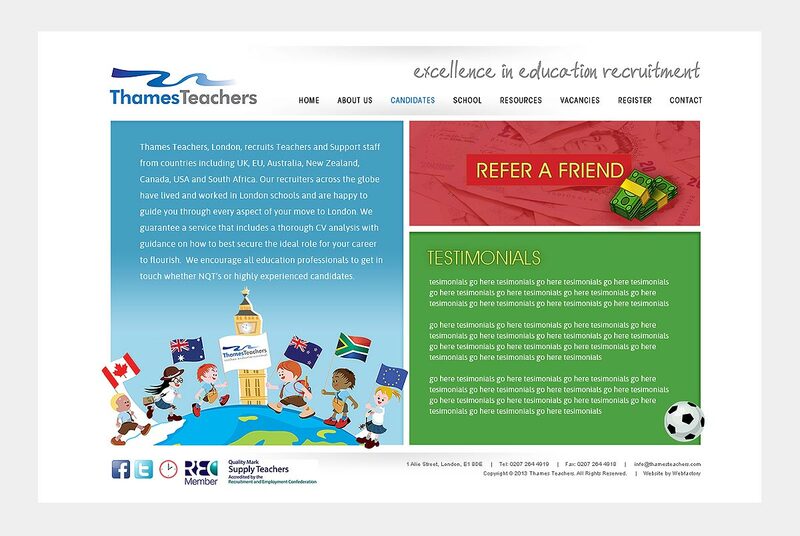 Webfactory worked with a graphic artist to create an exciting and vibrant website. Each page was custom designed, highlighting education and the iconic landmarks of London. The site has a directory and listing application. 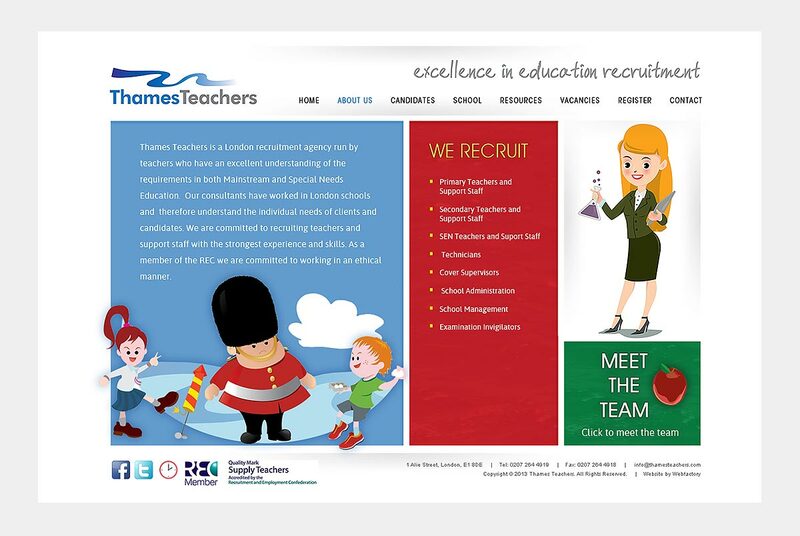 Built on Joomla, a content management system to allow for regular updates by the client.